1979 (21 Mar) Germania. 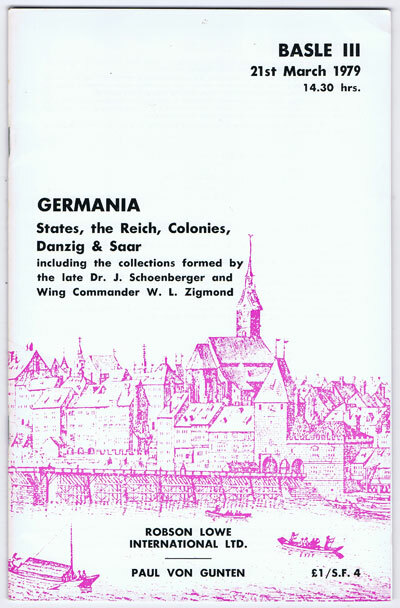 States, the Reich, Colonies, Danzig & Saar. - Including the collections of the late Dr J. Schoenberger and Wing Commander W.L. Zigmond.